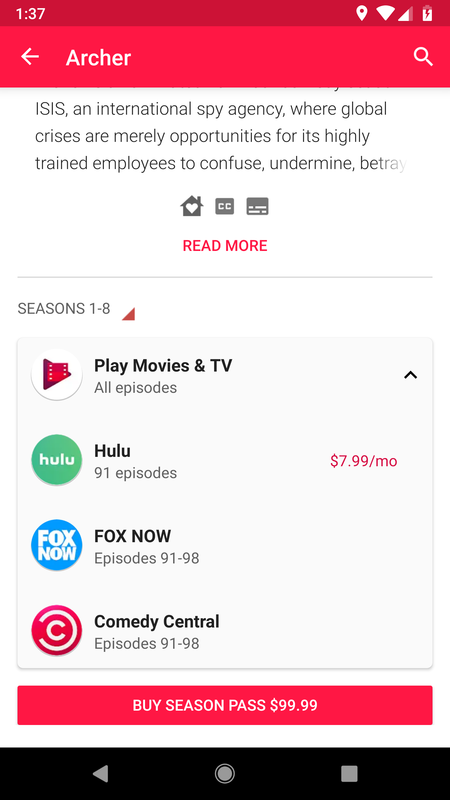 Google recently launched a new feature that suggests various streaming services when you're looking at TV shows and movies to watch. The latest update doesn't appear to do any more than ensure that feature is available, assuming it hadn't already rolled out to you. However, it looks like there's still a little more to come. 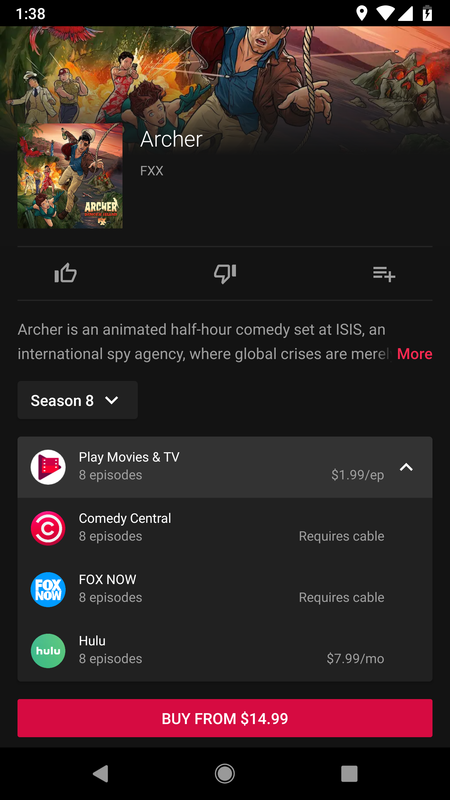 It looks like we'll also get the option to configure those streaming services and cable subscriptions to get better suggestions. Examples of service options in Play Movies and the Play Store. While it's great that Google is helping users to find alternate options that might be cheaper or free, it's not going to do a lot of good for most people to see suggestions for services they don't use or can't even get. It's not that the lists of services are overwhelming yet, but they might reach that point in the future. Some new text in the APK shows there's going to be a setup workflow that asks users if they have cable or satellite service, and then asks which other services are also in use. For now, this appears to be a wizard-like process, which takes users through a series of questions, but it will surely allow for changes after first run – it would have to if users ever sign up or change services. If nothing else, this is definitely going to be nice for those of us that have absolutely no interest in signing up to cable packages or dislike a particular streaming service. There's no reason to see those in the list. There's also a line that mentions an account selector. This may seem like an unimportant detail, but I can imagine how it might be important for services that have different amounts of content based on either having an account, or possibly what type of subscription you have with the service. As a final note, there is also a setting option to turn on auto-scroll after the guide is set up. Frankly, I think this is just a developer option and won't come out to users, but I'll mention it here anyway since it's on-topic. This is actually a bit of a non-topic, but I figured it was worth mentioning for a different reason. In short, there's a button label to redeem special offers, and it's part of the same streaming services guide that just launched. I don't think anybody would have doubted Google would be offering sign-up discounts through the app, but since this is here, I thought it would be a good reminder to watch for deals from here on out.